3 Tips to Master Your Small Business Remarketing Efforts - Mischa Communications, Inc. Mischa Communications, Inc. There are plenty of reasons a customer may visit your small business’ website or store and not make a purchase, but that doesn’t mean it’s any less disheartening to watch them leave. Losing a sale is tough, but fortunately, a lost sale now might not be a lost forever. Here’s how to earn a second chance to seal the deal. Capturing your wayward would-be customers’ email addresses (with their permission, of course) is one of the best remarketing strategies out there. Once you have that magical piece on information, it’s easy to contact them again. Remind potential customers that you still want their business. And maybe sweeten the pot a bit with a “special second chance offer” to convince them that your small business is the way to go. No, we’re not advocating that you break down in tears when someone leaves the goods on the shelf (or in their shopping cart), but a personal touch is something many businesses lack. Reach out personally to your would-be customers. Form letters and mass emails aren’t going to cut it here; you have to show some finesse. Give them a call or send them an email to thank them for visiting your small business. Mention that you noticed they were interested in (insert product or service here), and say you’ll be happy to answer any questions. The trick is not to be too aggressive. You’re going for “helpful small-business owner,” not “pushy used-car salesman.” Cross that (admittedly fine) line, and you’ll lose yourself a customer for good. Not every customer is going to buy the second time around, no matter how great your remarketing strategy. However, there’s still plenty of information to be gained, even if you can’t make the sale. Consider sending a short survey to people who abandoned their online shopping cart or walked out of your small business without making a purchase. Ask direct, pointed questions about what prevented them from making a purchase and how satisfied (or unsatisfied) they were with their experience. It may not earn you their business, but it can help you make improvements for your future customers. 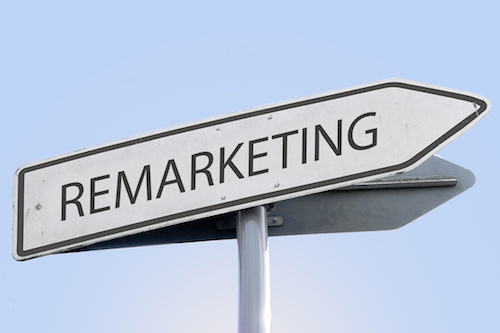 Remarketing is all about determination. Visitors to your small business might not become a customer the first, second or even third time, but when you keep in touch, you remain in the forefront of their mind, making it more likely that they’ll come to you when they’re ready to buy. Are you looking to convert more casual browsers into regular customers? Drop Mischa Communications a line and let us show you how persistence can pay off!